Google Drive is a completely free service, which is useful for automatically backing up and syncing files, sharing photos and creating documents with Google Docs, etc. Google Drive can also be used to store your music for access from multiple devices, and there are a few ways to upload and stream those music files. However, some DRM-ed music files aren't supported to sync to Google Drive, such as Apple Music. Because the files you upload should be DRM-free file! Apple Music is protected by an algorithm known as DRM which is created by Apple Inc. to control what you do with their streaming music service to some extent. You can get DRM-free Apple Music from different sources, like Sidify Apple Music Converter (For Mac & For Windows), that can perfectly remove DRM from Apple Music tracks and convert the DRM-ed songs to plain MP3, AAC, FLAC and WAV. Fully compatible with the latest version of iTunes. 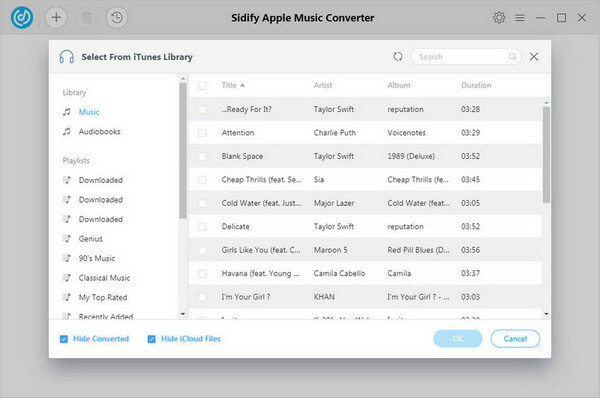 Download, install and launch Sidify Apple Music Converter. After launching Sidify program, iTunes will be also automatically launched and disappear quickly. Then click "+" to add Apple Music tracks downloaded on to your computer. 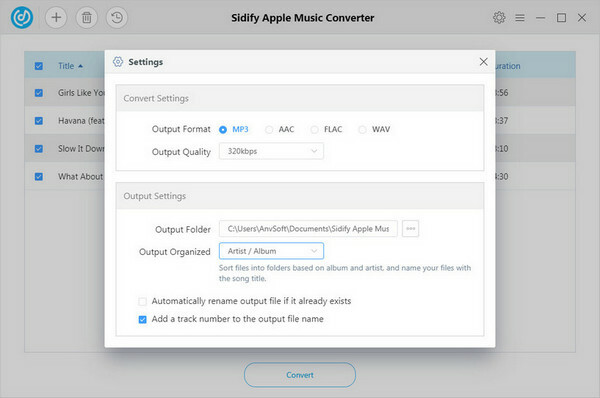 Tips : Besides that, Sidify Apple Music Converter can be also used to convert iTunes M4P music, iTunes M4A, M4B & Audible AA, AAX audiobooks to plain MP3, AAC, FLAC or WAV format, while keeping original ID3 tags and metadata (including track number, title, artist, album and genre). Then click setting button on the upper right of Sidify interface, a new window would pop up. 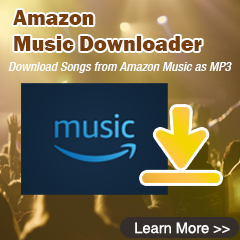 Here you can choose MP3, AAC (M4A), FLAC or WAV as output format, set the converting speed up to 20X and adjust the output quality up to 320 Kbps. In addition, the output path is also changeable if required. Once everything is ready, you can click "Convert" to start conversion process. After conversion finished, you can click to find the converted MP3, AAC (M4A), FLAC or WAV audio files under destination folder. Now, find the converted music on your computer and transfer Apple Music tracks to your Google Drive. 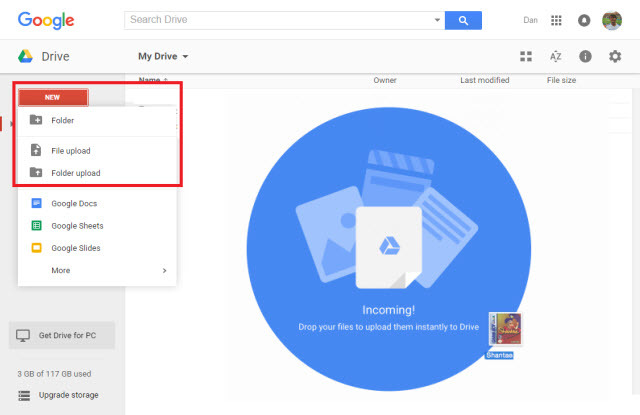 a. Firstly, you can simply drag the file or folder you want over the top of the Google Drive window. You will be prompted to drop the file to begin the upload. b. The alternative method is to use the menus within Drive. Click on New in the top left-hand corner, and then select either File Upload or Folder Upload, depending on your desired action. Step 3 (Optional): Download Google Drive app. 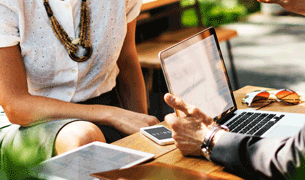 After downloaded and installed Google Drive app on your Android or iOS device, you'll be allowed to access your files from your phone or tablet. 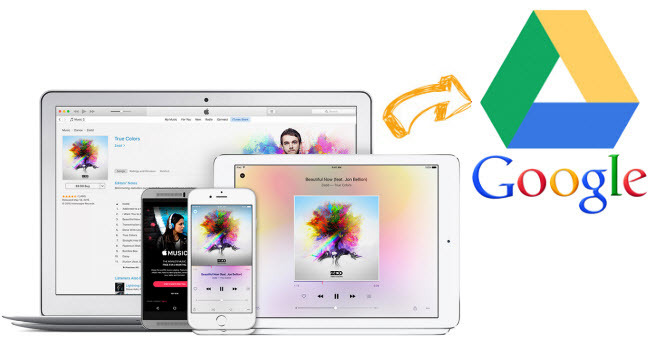 Seeking for some ways to store iTunes movies, TV shows or music videos in Google Drive? M4VGear DRM Media Converter enables you to help you sync your iTunes videos to Google Drive easily, why not take a try? 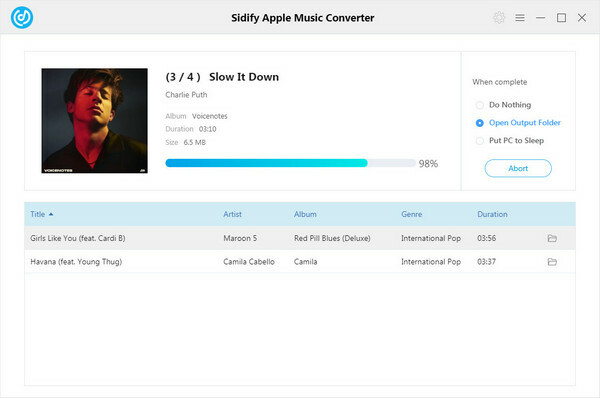 Note: The free trial version of Sidify Apple Music to MP3 Converter converts the first three minutes of each audio file. If you want to unlock the time limitation, you can purchase the full version of Sidify with $39.95.